Encinitas continues to be a fiscally responsible city, not allowing the costs of our staff to rise too much, carefully planning for the future, avoiding too much debt and fully funding all reserves. We’re now one year into a two-year budgeting cycle and based on past practice, we adjust budgets at mid-cycle to make any needed changes. This year we’re not adding any employees and the economy is up, which means we can tackle additional deferred infrastructure needs. We unanimously supported allocating about $23 million toward core city projects. This is a lot of money; more than we usually allocate to infrastructure in one year. Much of the mid-cycle allocation is devoted to our roads, mobility and transportation infrastructure, which I absolutely support. Our roads need to continue to be a high priority. I love voting, and last week’s election was no different. When I worked as a newspaper reporter, the most exciting times of the year were covering elections — staying up late into the night, talking to candidates, waiting to see whose horse came in first. 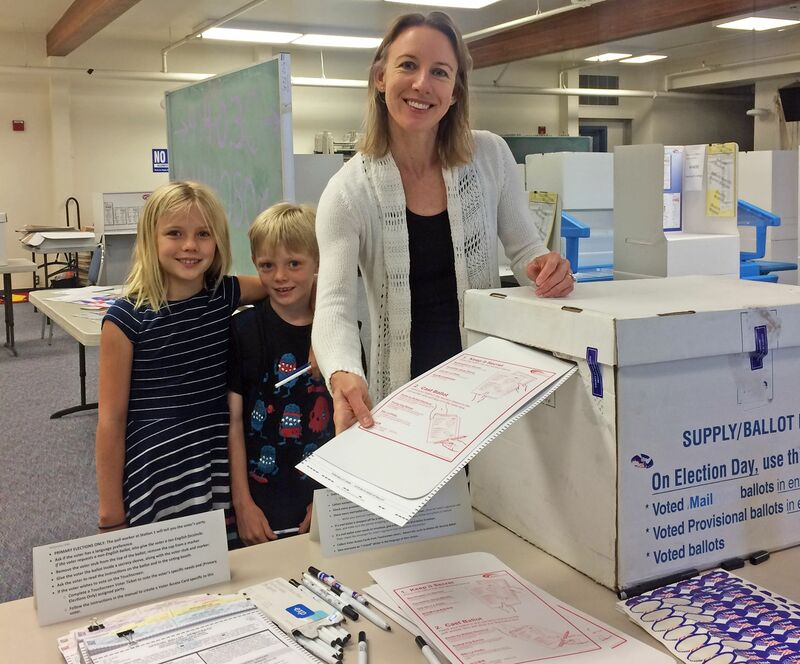 No Encinitas races were on the ballot this past week. Decisions about the Mayor and City Council will be made by Encinitas voters this November. I’m particularly grateful to the city manager and my Council colleagues for finding a way to make a meaningful start on “Safe Routes to School” projects. We’re spending about $1 million on street repairs requested by our three school districts — including sidewalks, raised medians, a retaining wall at Paul Ecke Elementary and crosswalks. This benefits everyone who walks or bikes, and also improves safety for drivers. It’s really “Safe Routes to Everywhere” that we’re funding. Here’s an article with more details from the Encinitas Advocate. 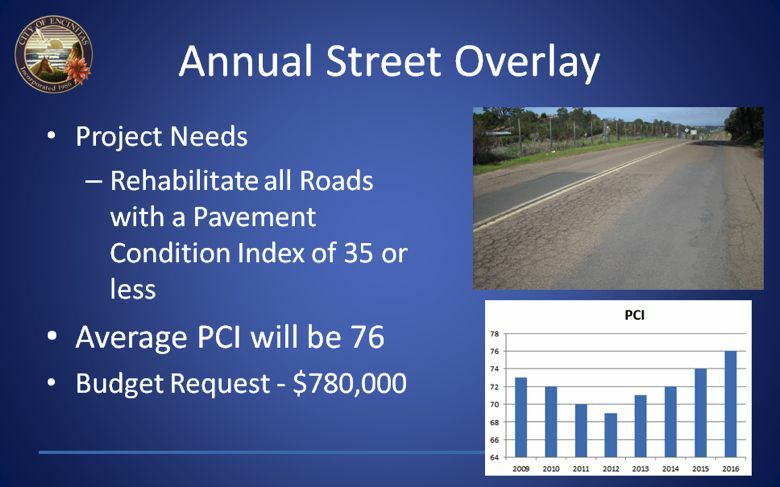 We are also spending a total of $3.7 million on street paving (The additional request at mid-cycle was for $780,000), which should eliminate virtually all of our “failing” roadways. There’s no reason a city as prosperous as Encinitas should have any failing roads. Our city’s Pavement Condition Index (PCI) steadily fell from 2009-2012, and has been rising for the last four years as we’ve put more money into street improvement. Paving is less expensive now because the price of oil is down. So the time is right. The long-suffering Leucadia Streetscape project (in process for ten years and not yet started) received unanimous support for $8.1 million to complete phase one, along Highway 101 from Encinitas Blvd to Basil Street. Construction won’t start for 18 months, but the allocation of funds is good progress. I’m still hopeful that we’ll entirely fund the city’s largest infrastructure project before too much more time passes. 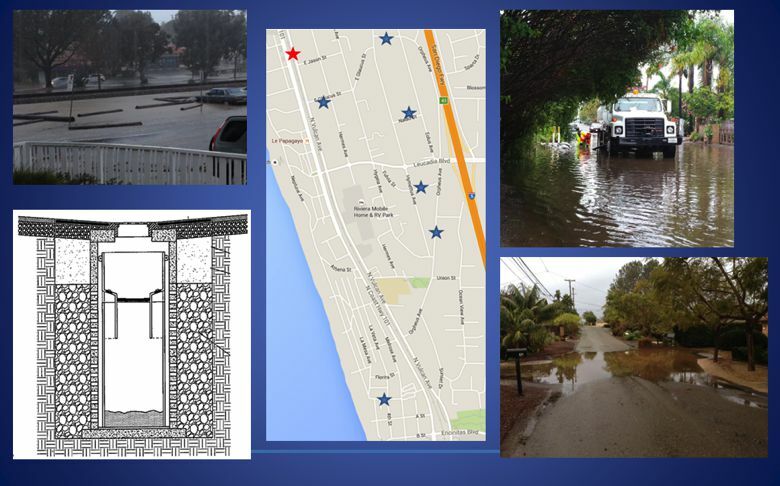 $2.7 million (from funds that must be used for parks) to build a neighborhood park near a subdivision on Urania and Normandy in Leucadia. The community has been waiting for seven years for this vacant and fenced piece of land to be turned into Standard Pacific Park. $2.5 million for a potential railroad crossing at Montgomery Avenue in Cardiff. All of the issues involving a legal crossing – horn noise, fences, etc., are as yet unresolved. But the creation of this legal crossing in Cardiff is still a priority and we’ve set the money aside for that project, if and when we come up with a good solution. Later in the summer, the city is planning a demonstration at Montgomery Avenue of what a “wayside horn” sounds like; technology and horn requirements are changing and we need to understand the reality of the latest technology before making a decision. We also allocated an additional $675,000 for a quiet zone at Chesterfield, which means no train horns would sound there at all. It’s not possible to get approval for a quiet zone at Montgomery because pedestrian-only crossings aren’t eligible for this distinction (yet). About $250,000 for a pedestrian-activated signal across Highway 101 at Jasper or Diana Street. About $230,000 for additional sand on our beaches. In other business, we allocated a total of $150,000 to about 50 different community organizations, thanks to a public-private partnership with the Mizel Family Foundation. We’re grateful to the Mizel family for matching a $75,000 grant for the many worthy community non-profits every year. And, we have a vacancy on the Planning Commission for those who live in New Encinitas. We’ll miss Ruben Flores, who’s been a great member since 2014. This commission has a lot of influence on development in our city. Please consider applying if it interests you and you live in New Encinitas. An application is here, and the deadline is June 30. 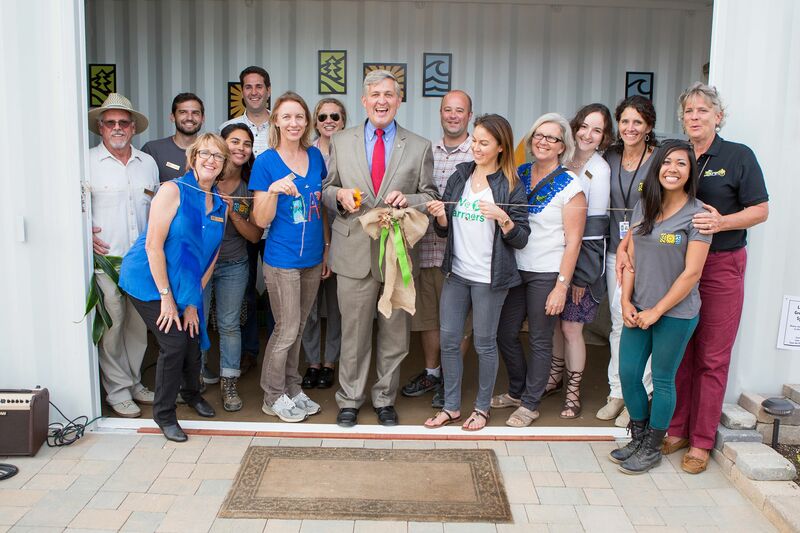 San Diego County Supervisor Dave Roberts cut the ribbon at the opening of the Solana Center’s “Eco Container” at the San Diego County Fair. It’s a shipping container re-purposed into a center for environmental innovation, sponsored by Kashi. Photo by Mark Whitehouse.